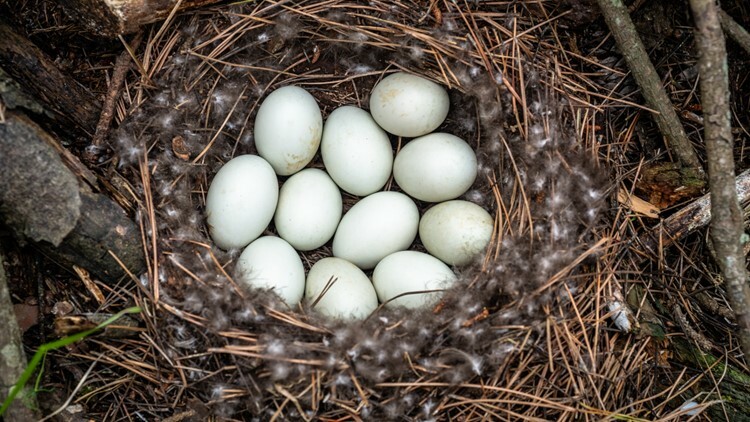 A nest of eggs on the ground, stock image. If you come across a duck's nest, the best thing is to leave it alone. LANSING, Mich. (AP) - Michigan wildlife experts are encouraging landowners to be on the lookout for waterfowl nests in yards and gardens this spring. The department says if you come across a duck's nest, the best thing is to leave it alone. If the eggs hatch, the mother will lead her ducklings to the nearest body of water -- often the same day.